Had a great time teaching my PythonProv workshop at the Nursery Theatre in London. These guys are good! This entry was posted in Improv, Uncategorized and tagged Improv, improvisation, ImprovLondon, iO, iO theatre on September 18, 2016 by howardjohnson1985. This entry was posted in #chicago, Improv, Uncategorized and tagged Improv, improvisation, iO, iO Chicago, iO theatre on July 30, 2016 by howardjohnson1985. What’s better than teaching a PythonProv workshop at the iO Chicago for 16 students from around the world? This entry was posted in #chicago, Improv, Monty Python, Uncategorized and tagged Del Close, Improv, improvisation, iO, iO Chicago, iO theatre, Monty Python, python on July 24, 2016 by howardjohnson1985. 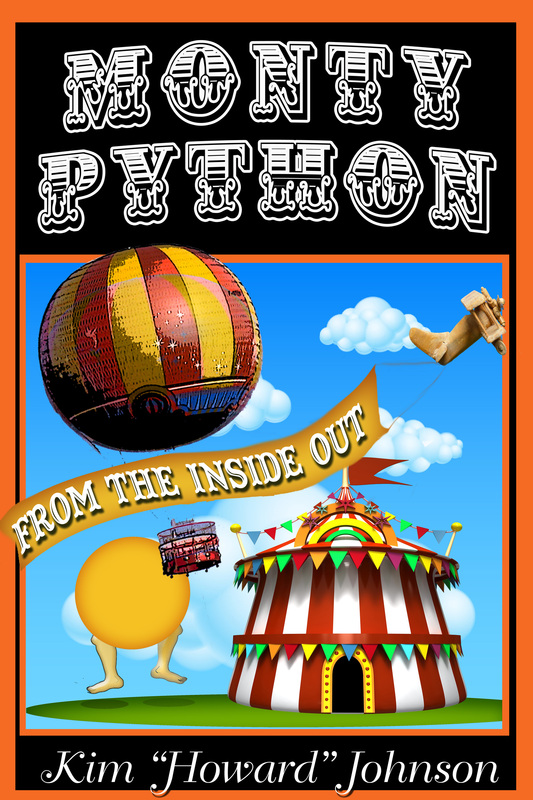 We had a great crowd and a great show last Sunday when we presented “Pythons in a Van” at the iO Chicago as the student show for my Python Process class. If you missed it, you have a chance to see its silly cousin, “Sunday Night Live,” at the Farley Cabaret in the iO at 7 pm this Sunday night, June 19th. Different show, a few familiar faces, and an awful lot of laughs. This is a great group of students and some terrific writing, and it’s absolutely free. If you missed Colin Jost in town this week at Zanies, we have our own Colin Jost, sort of. And our own version of Michael Che. And pretty much doppelgangers for the whole cast (at least the ones we need, anyway). You don’t have to travel to New York, or stay up until 10:30 (and the older you get, the more appealing this will be. Trust me.). It’s the best deal in town! This entry was posted in #chicago, Improv, Uncategorized and tagged Improv, improvisation, iO, iO Chicago, iO theatre on June 17, 2016 by howardjohnson1985. A couple of cheap laughs–actually, they’re free!–are coming up if you’re in the Chicago area in June. You may already know that I teach at the iO Chicago. Well, this session, I’ve been teaching two writing classes. The first, for the great Michael McCarthy’s Comedy Lab, is an SNL Sketch Packet class, designed so that at the end of our eight week session, the students will have a packet of sketches ready to send out to seek representation. The second class is my Python Process class, in which I teach my students how to use the methods used by Monty Python to write sketches more efficiently and more creatively. At the end of our eight week sessions, each class will be casting and directing a staged reading in the Chris Farley Cabaret at the iO Theatre. And those days are almost here! This Sunday night, June 12, we will be presenting “Pythons in a Van” at 7 pm. We auditioned and cast our actors for this show yesterday and, honestly, I’ve never heard this much laughter from a group of jaded actors reading student sketches. This is going to be very funny. And next Sunday at 7 pm, June 19, we will be presenting “Sunday Night Live,” featuring our talented writers and an amazing cast doing some equally funny sketches in the style of SNL.It’s a wonderful mixture of writers and performers that range from a very talented high school student writer to my old pal and fellow Baron’s Barracudas member Bill Russell, who keeps getting funnier and funnier as he gets older and older, and is sidesplittingly hilarious in these shows. And the best part is, you’re all invited. It is absolutely free. And by the way, if you like what you see, I’ll be teaching two more classes starting Sunday June 19. The first is Talk Show Packet for Michael McCarthy, and if you show up and do the work, at the end of the eight weeks, you will have a packet of material and know how and where to submit it. The second, for improvisers, is a session of PythonProv, in which we used Monty Python to affect our longform improv. My last group did a series of four shows at the iO, doing some pretty amazing work. If you’d like to be a part of it–for either class–be sure to contact the iO at classes@ioimprov.com. End of commercial. This entry was posted in #chicago, Improv, Uncategorized and tagged Improv, improvisation, iO, iO Chicago, iO theatre, python on June 6, 2016 by howardjohnson1985. …You may recall that I’ve been teaching PythonProv–where Monty Python and Improv come together–at the iO Chicago theatre recently. My Level 2 class is wrapping things up in a big way–with a free show this Friday night at 7 pm in the Jason Chin Cabaret at the iO. This one is going to be fun, folks, and a great way for the class to go out in a blaze of glory. You’re all invited. End of commercial. This entry was posted in #chicago, Improv, Monty Python, Uncategorized and tagged #montypython, Improv, improvisation, iO, iO Chicago, iO theatre, Monty Python on April 10, 2016 by howardjohnson1985.